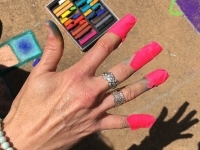 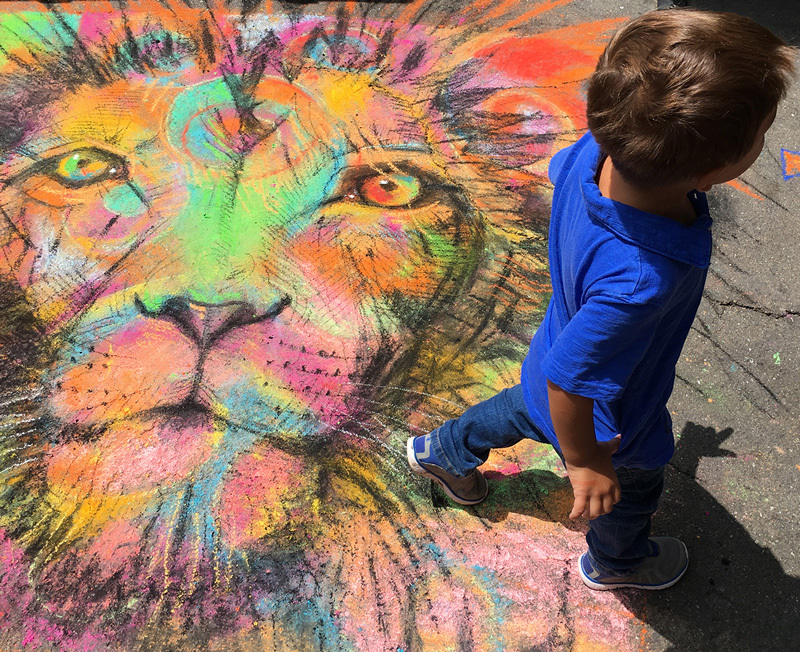 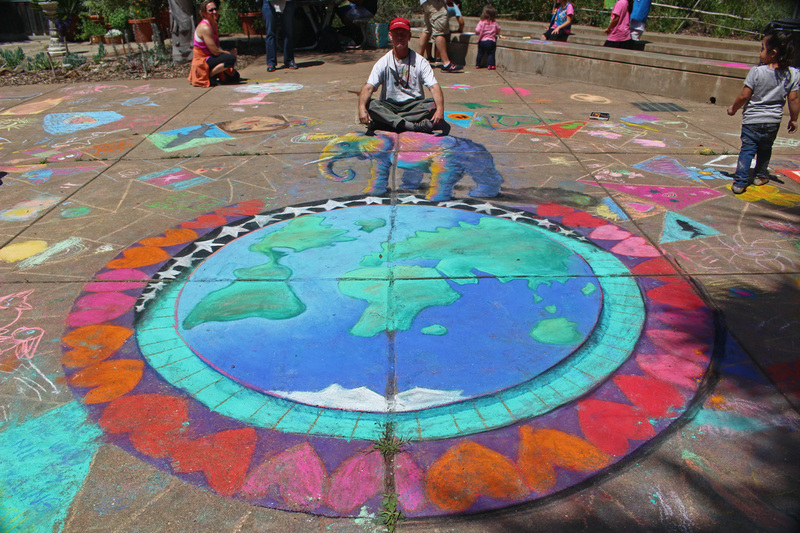 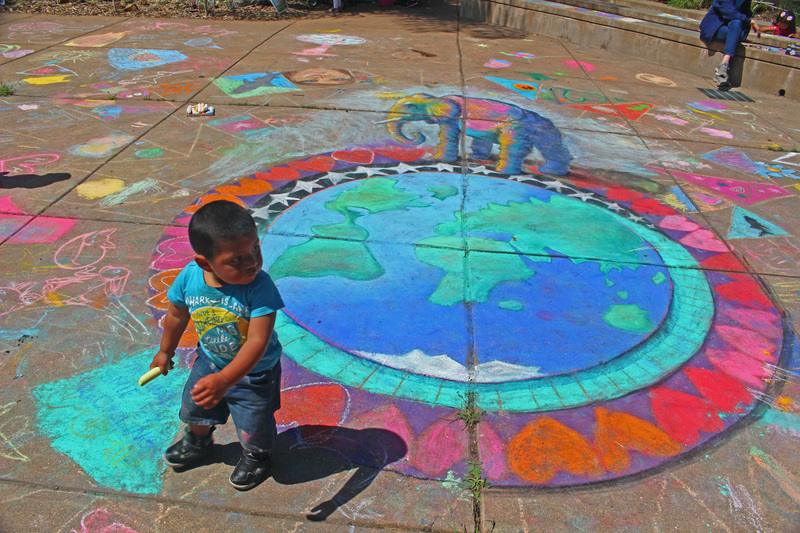 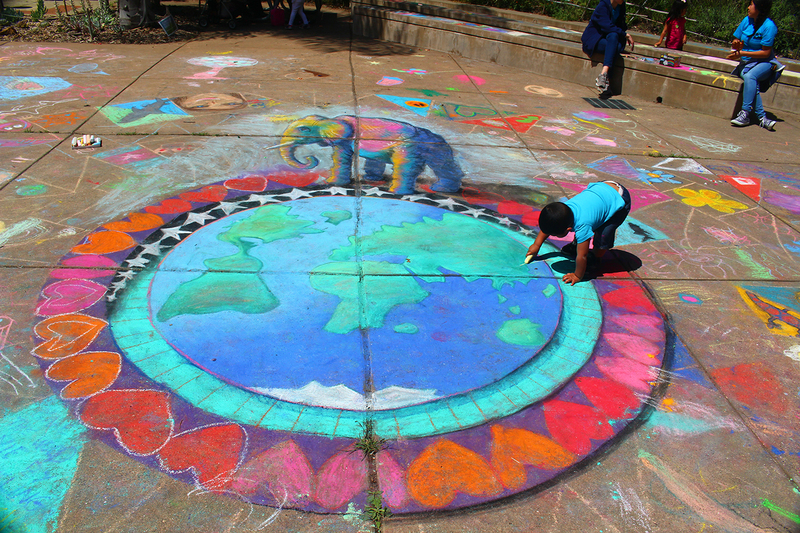 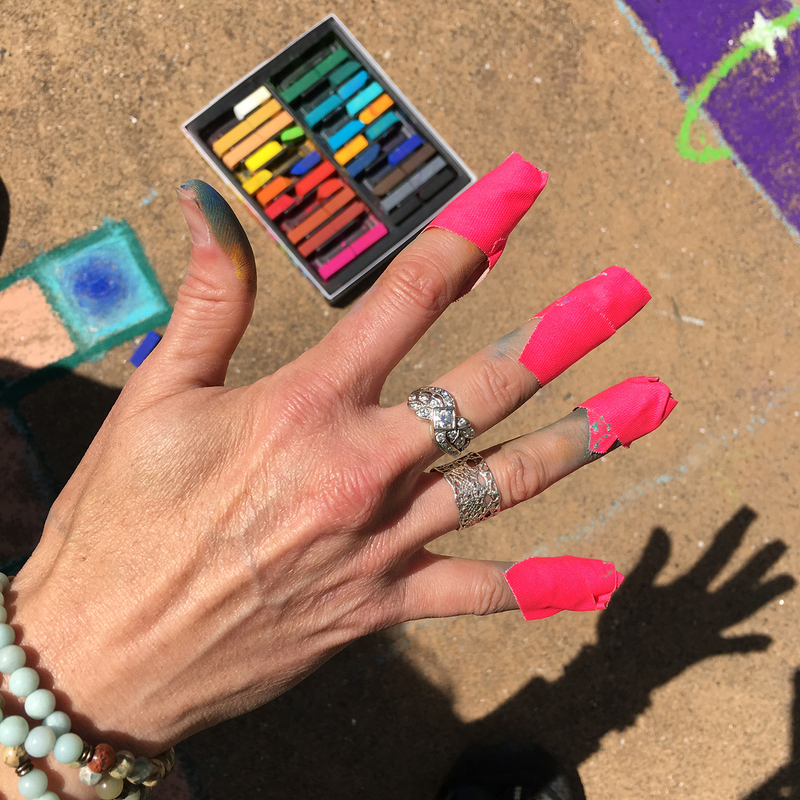 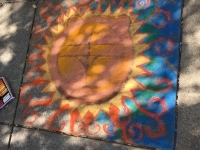 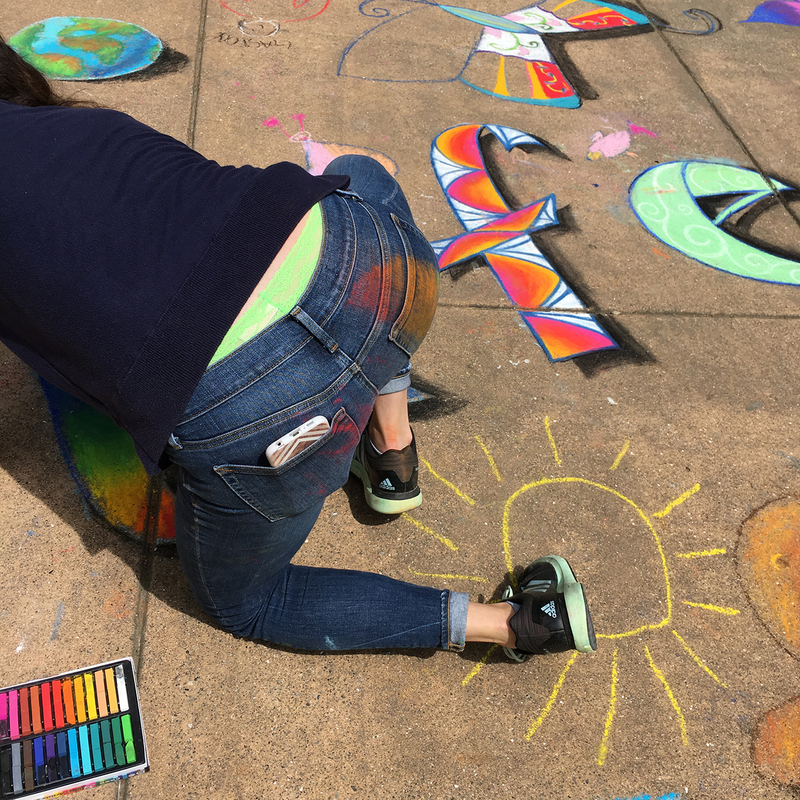 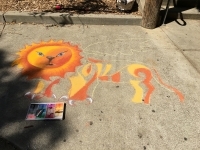 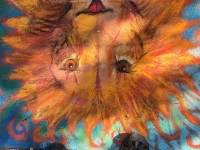 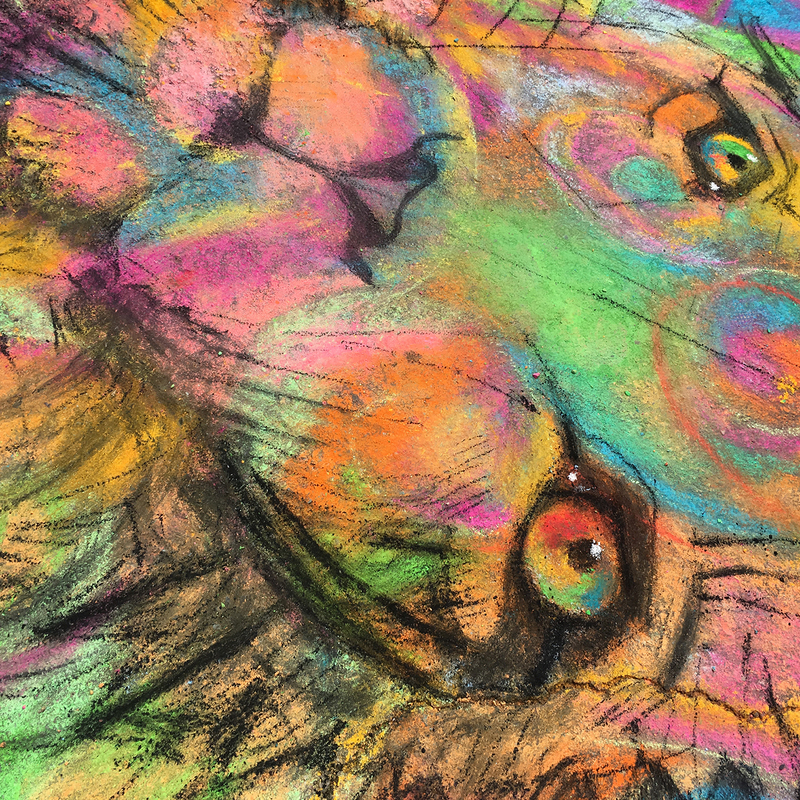 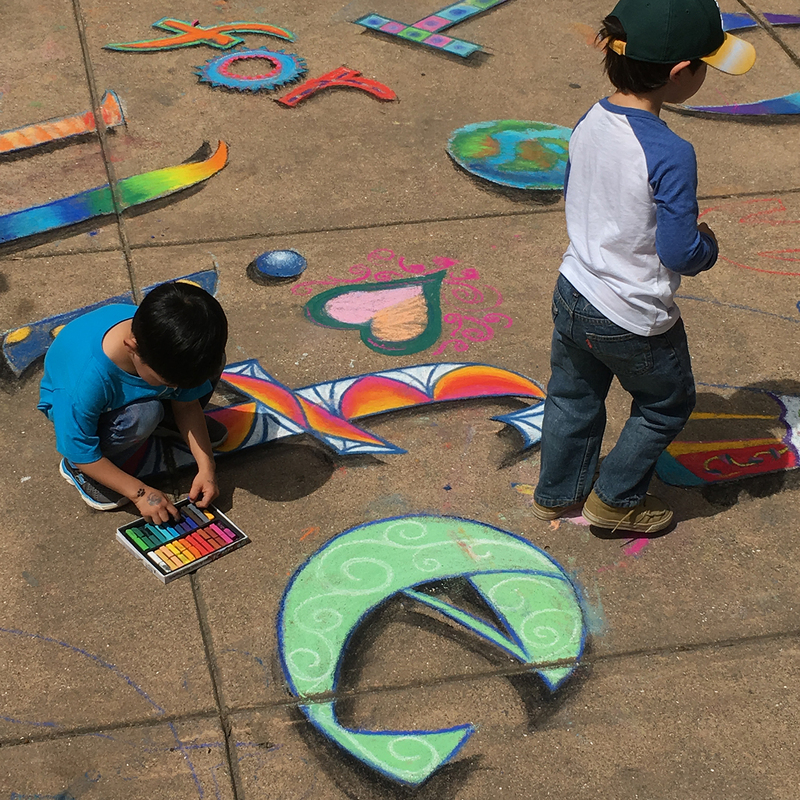 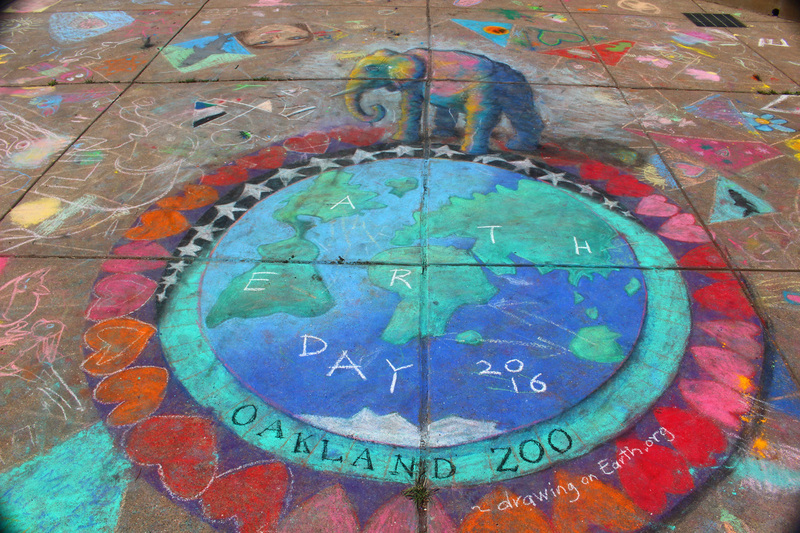 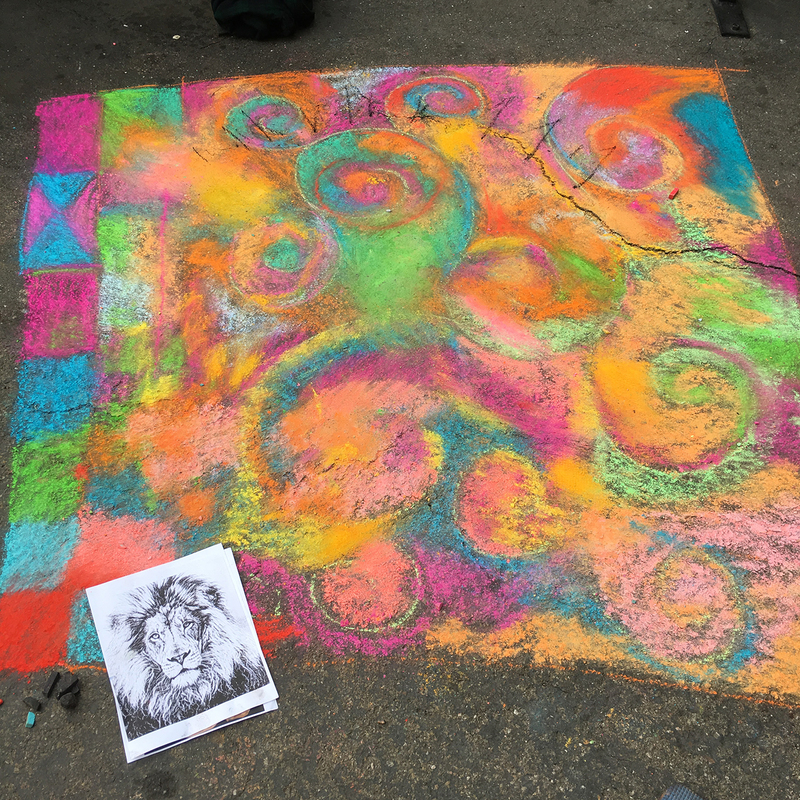 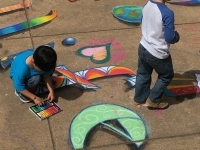 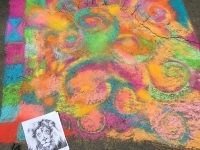 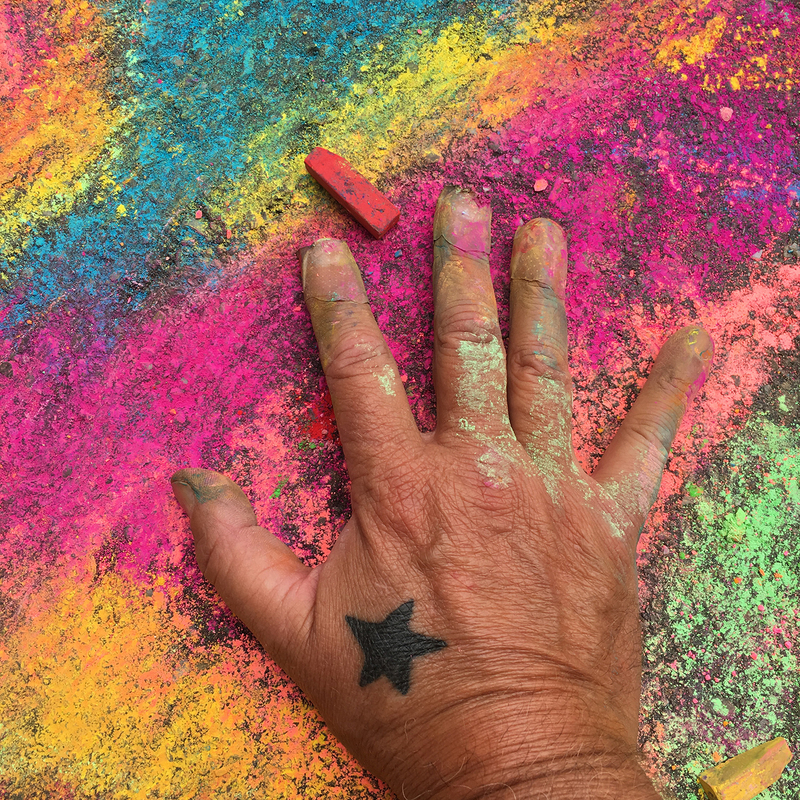 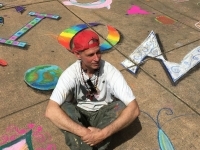 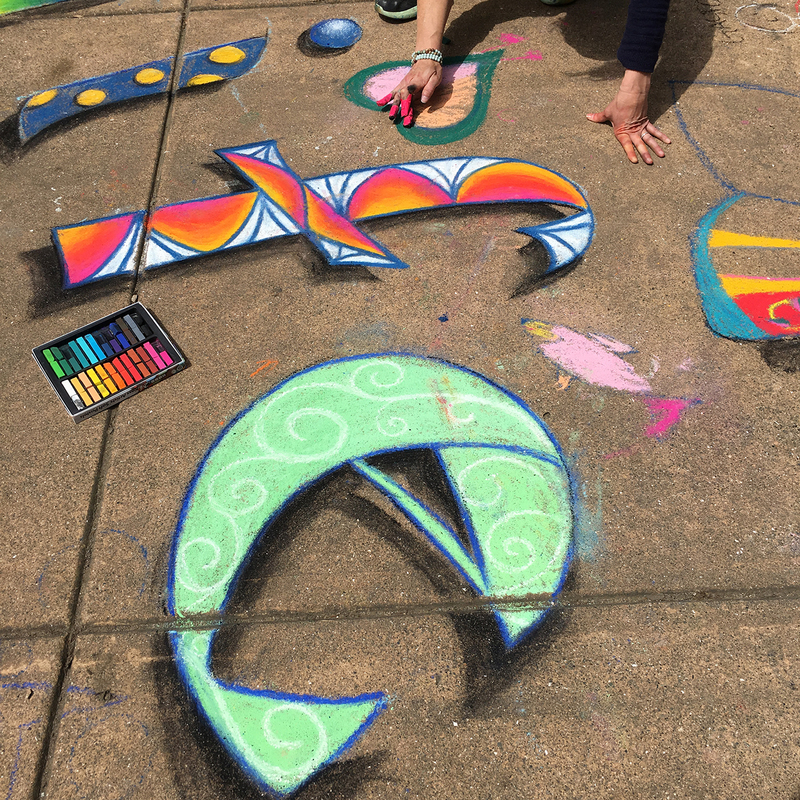 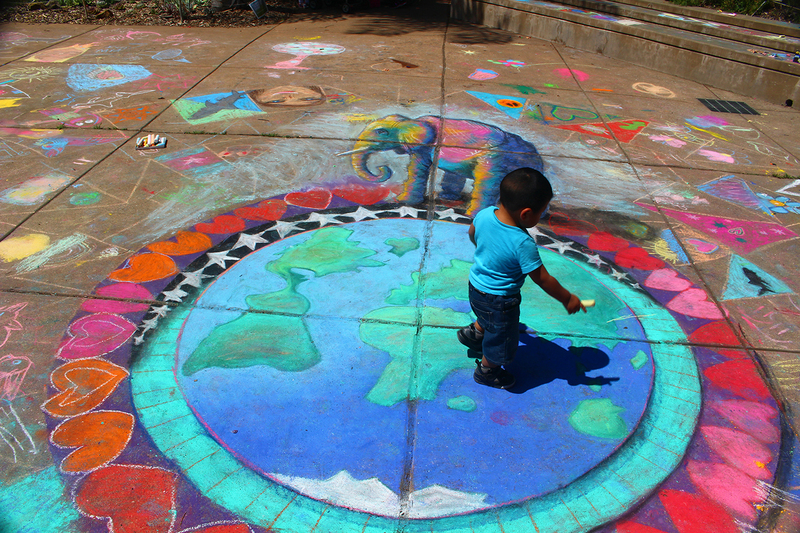 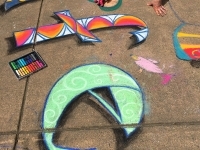 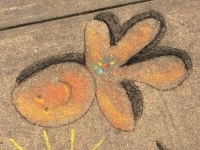 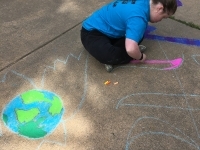 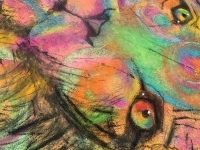 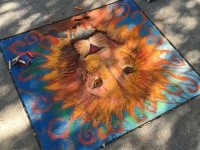 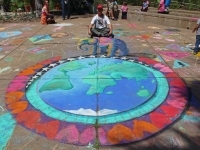 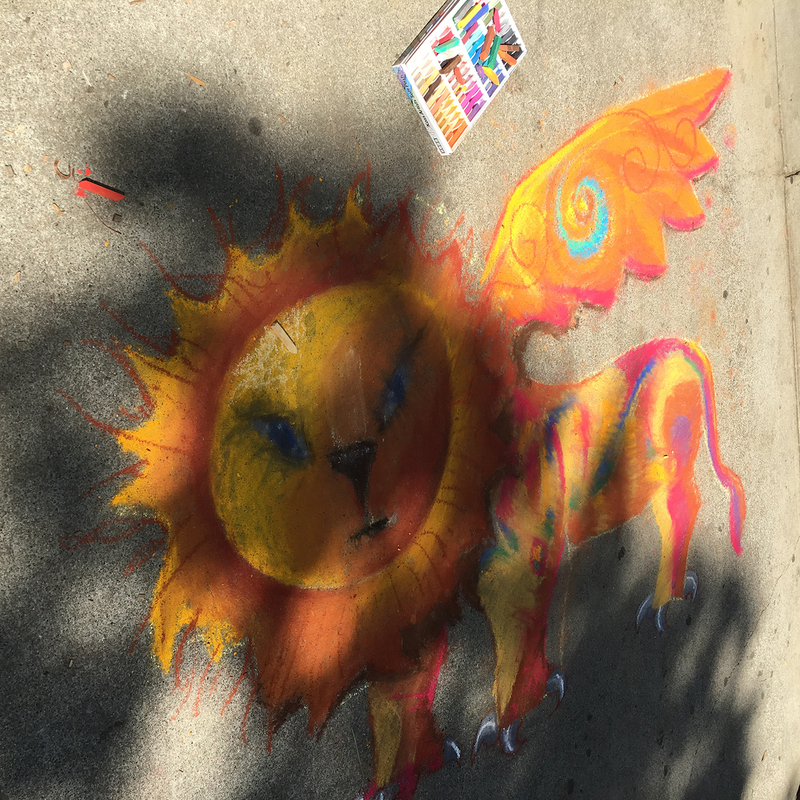 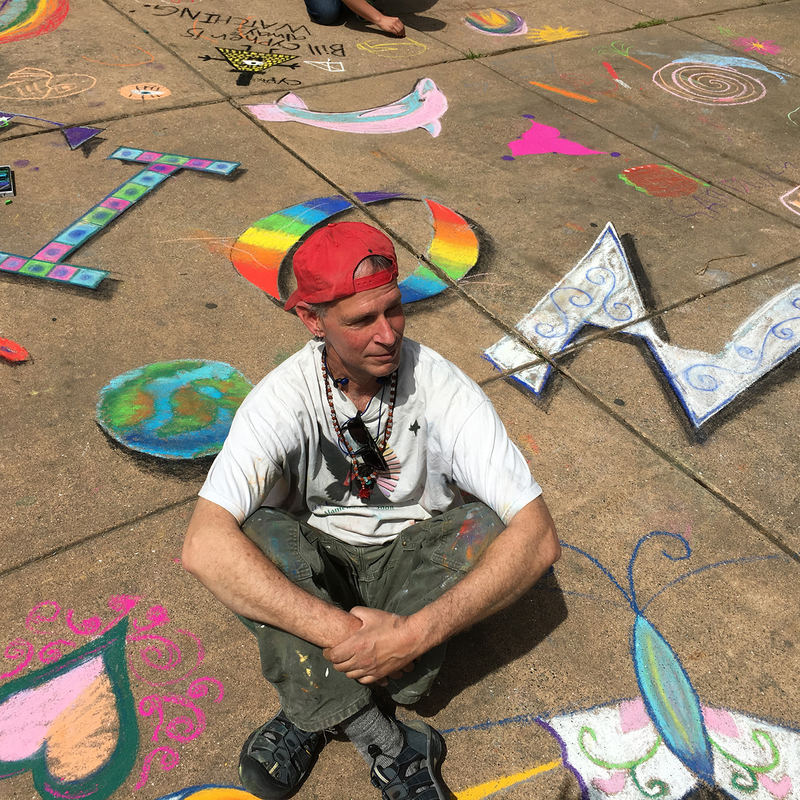 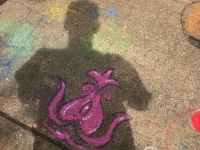 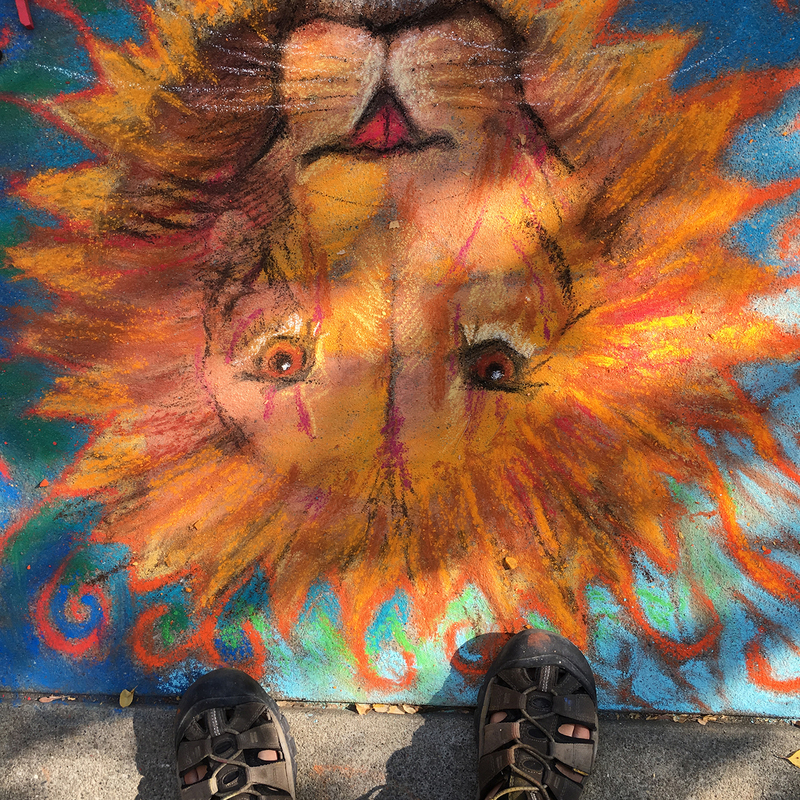 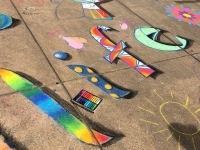 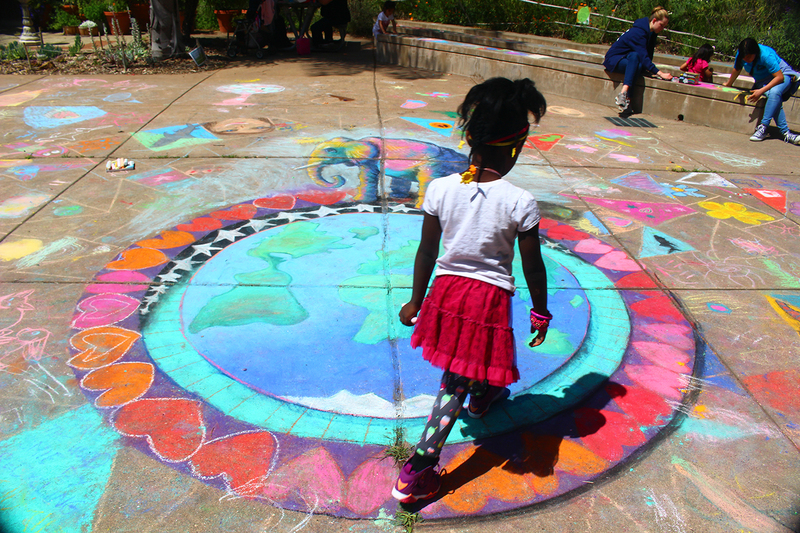 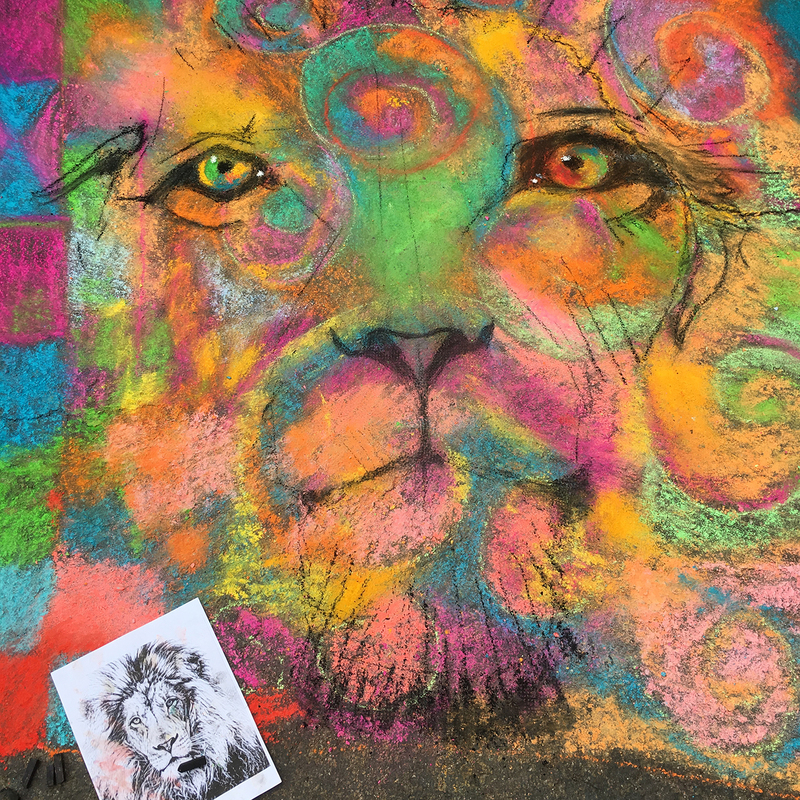 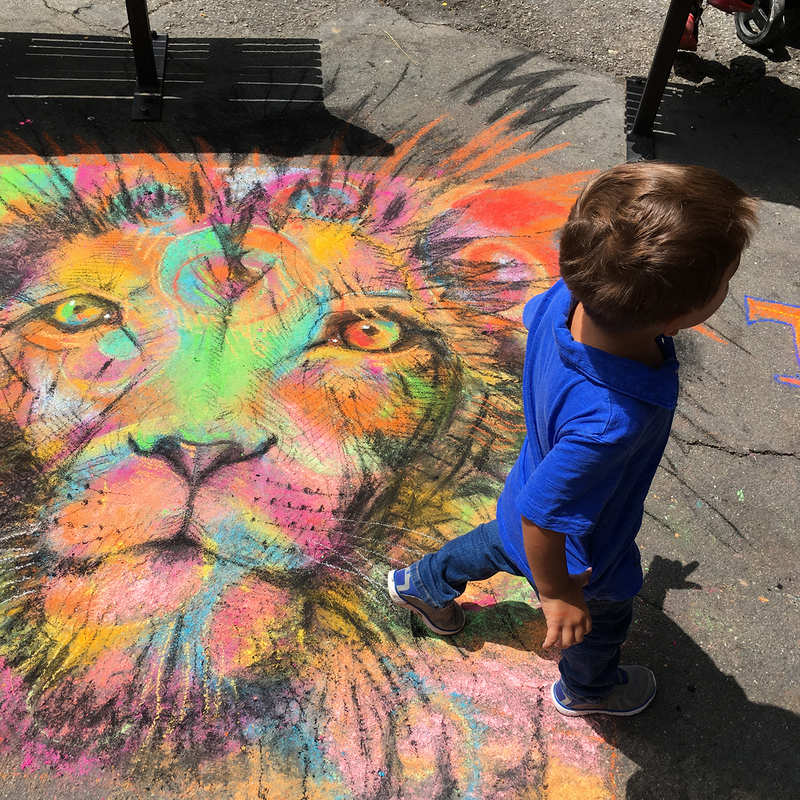 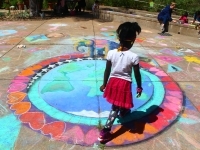 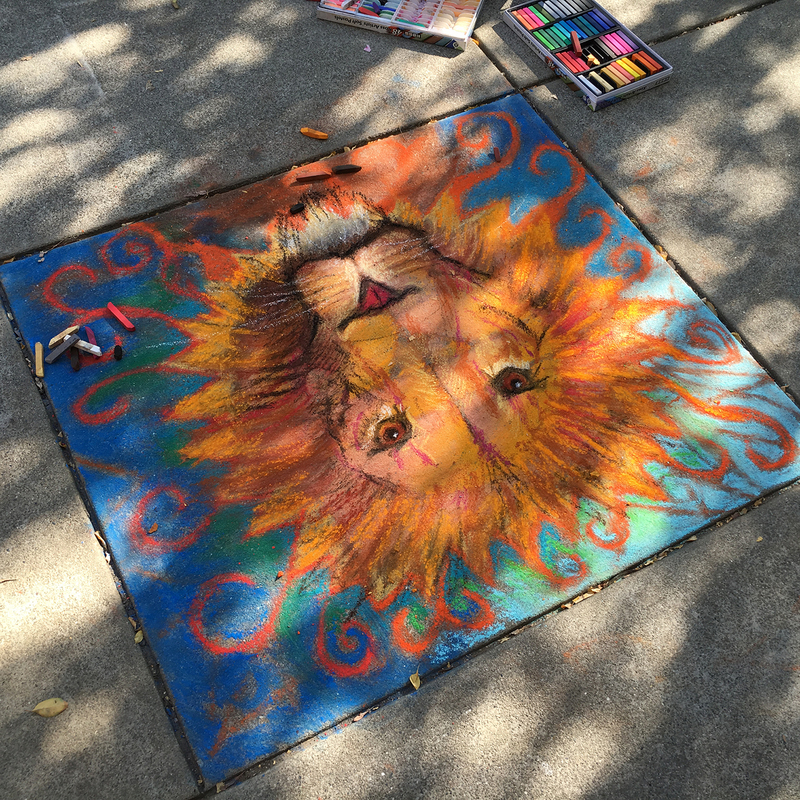 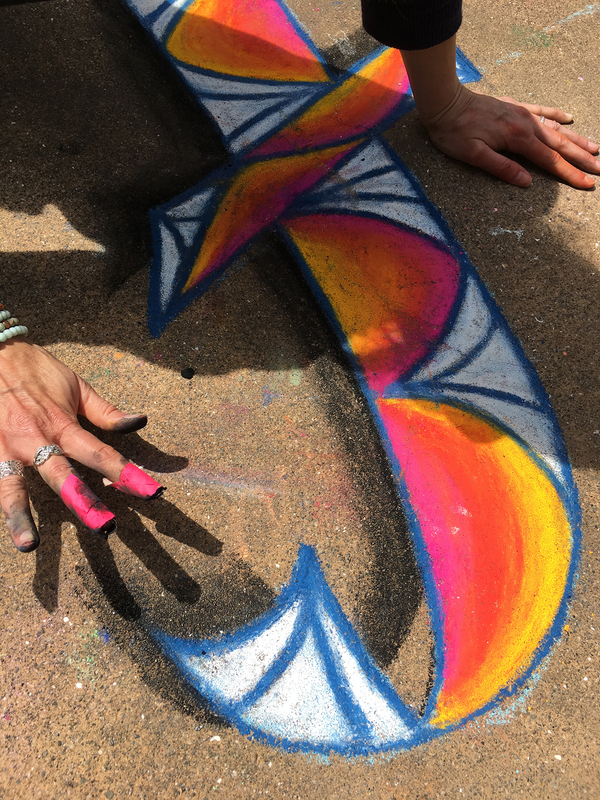 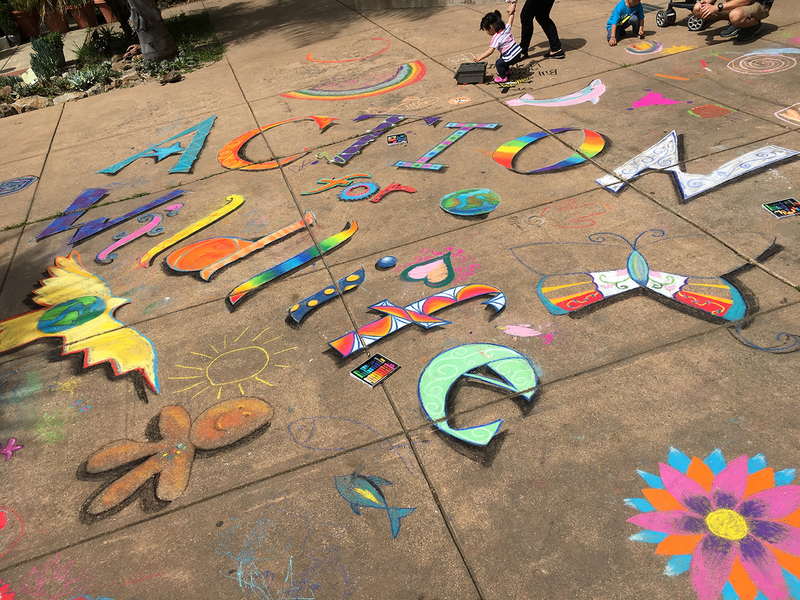 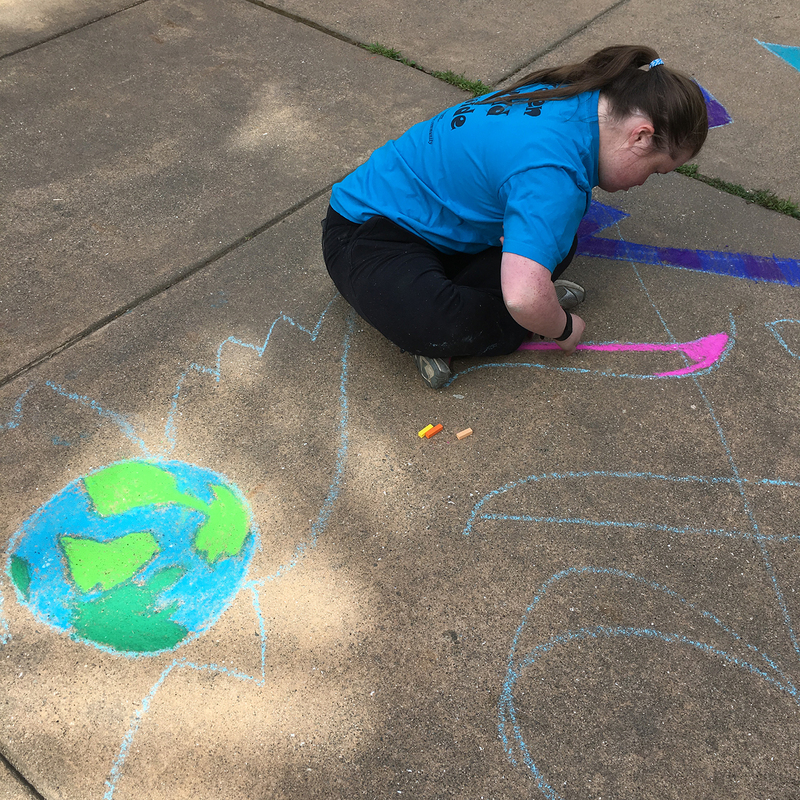 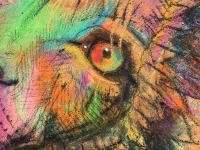 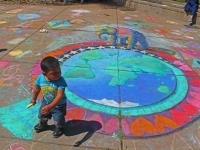 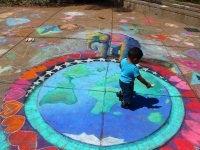 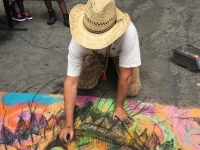 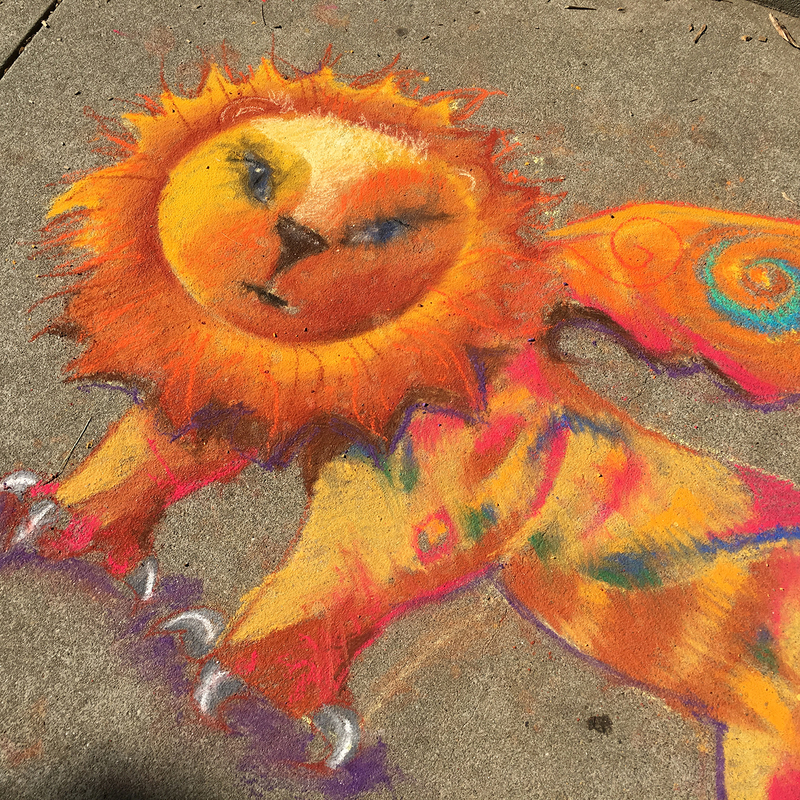 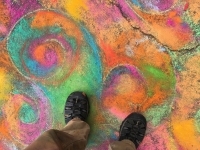 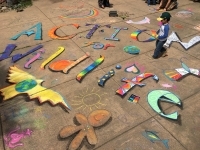 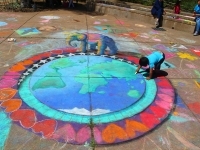 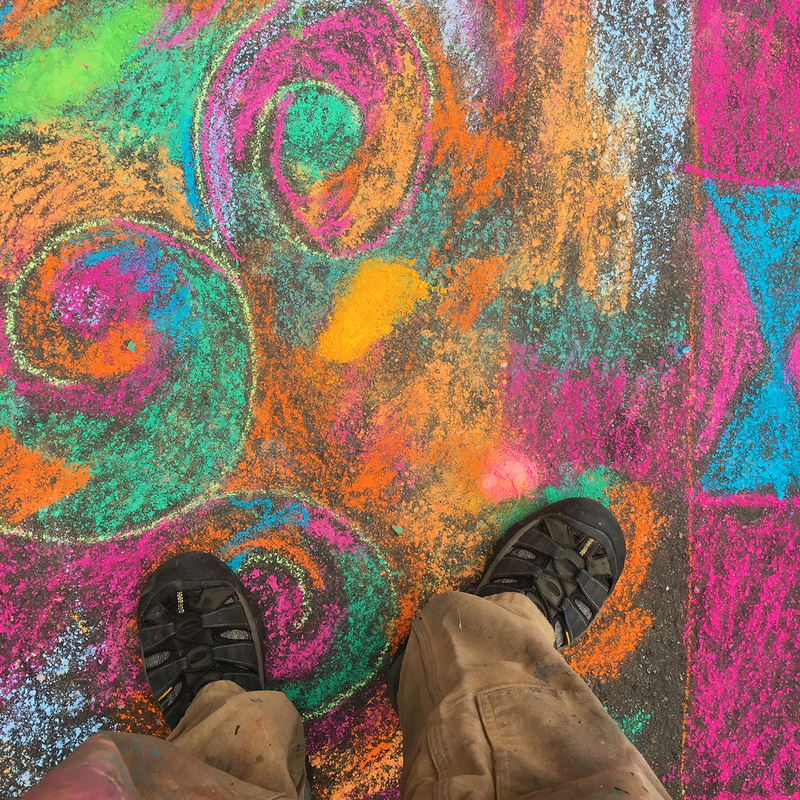 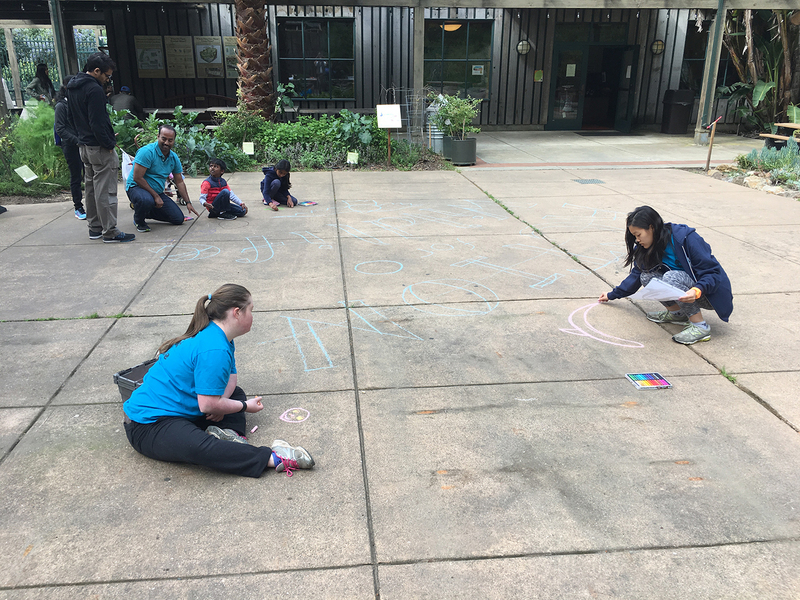 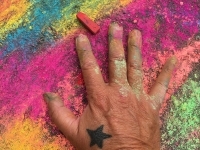 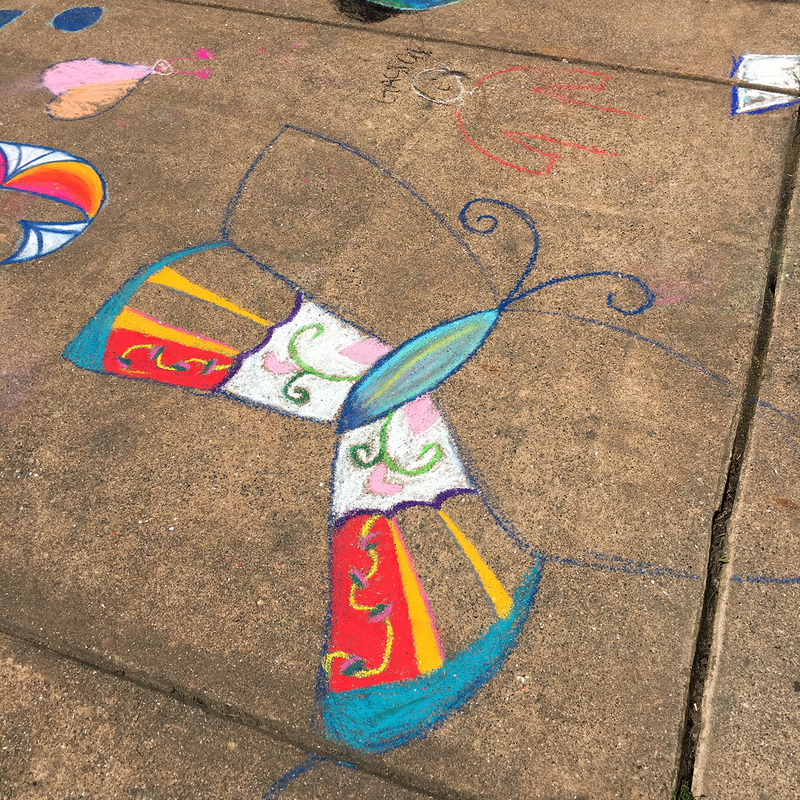 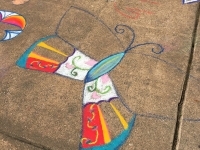 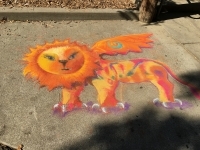 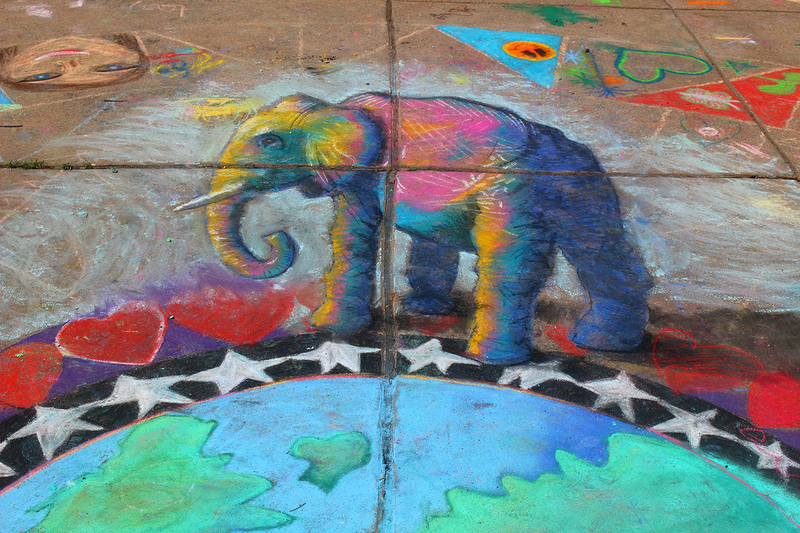 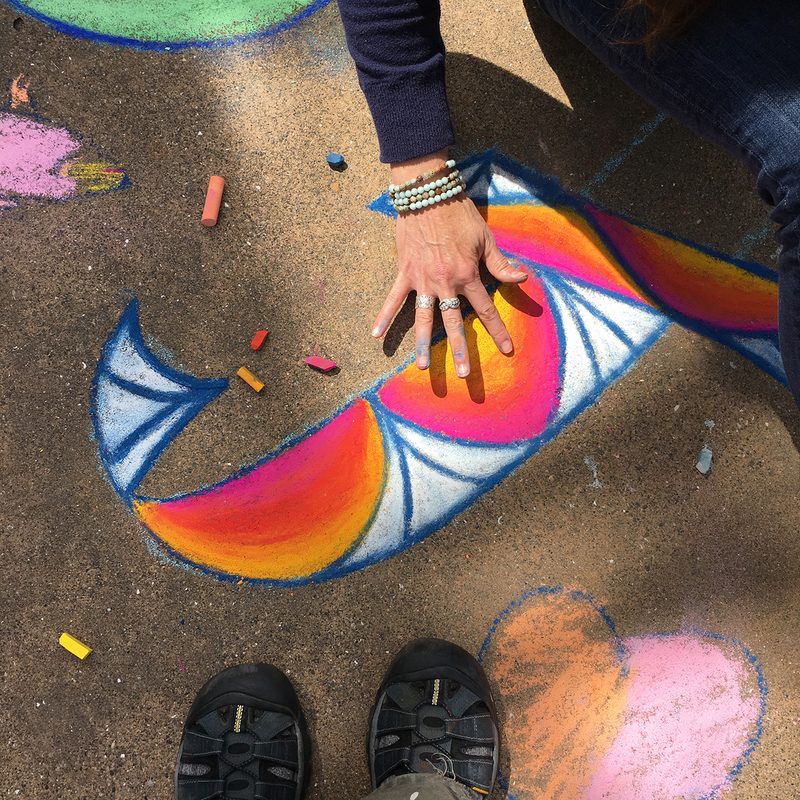 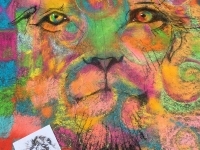 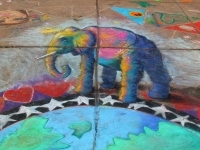 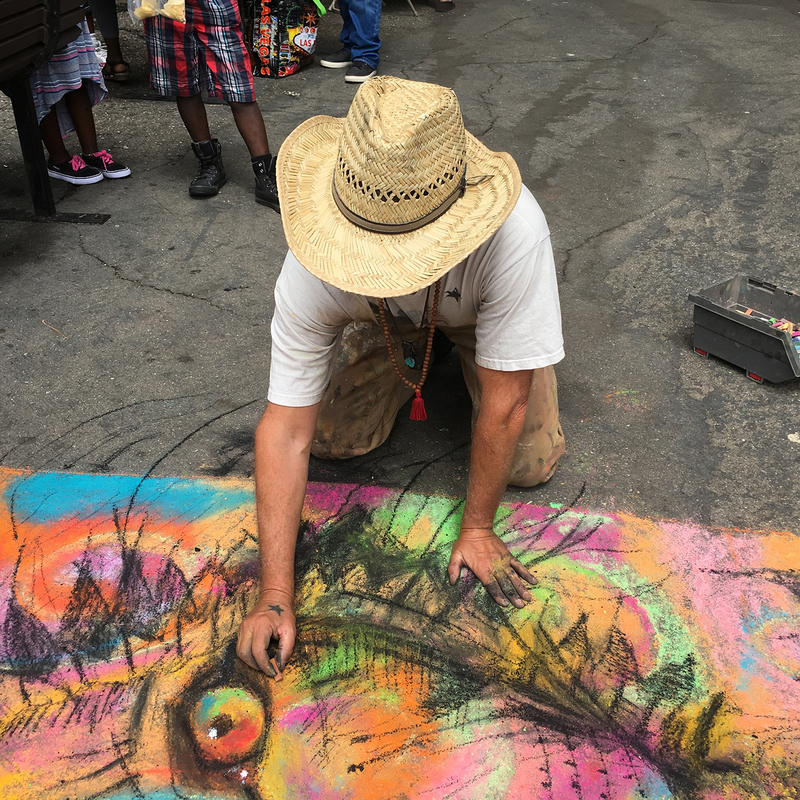 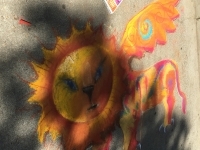 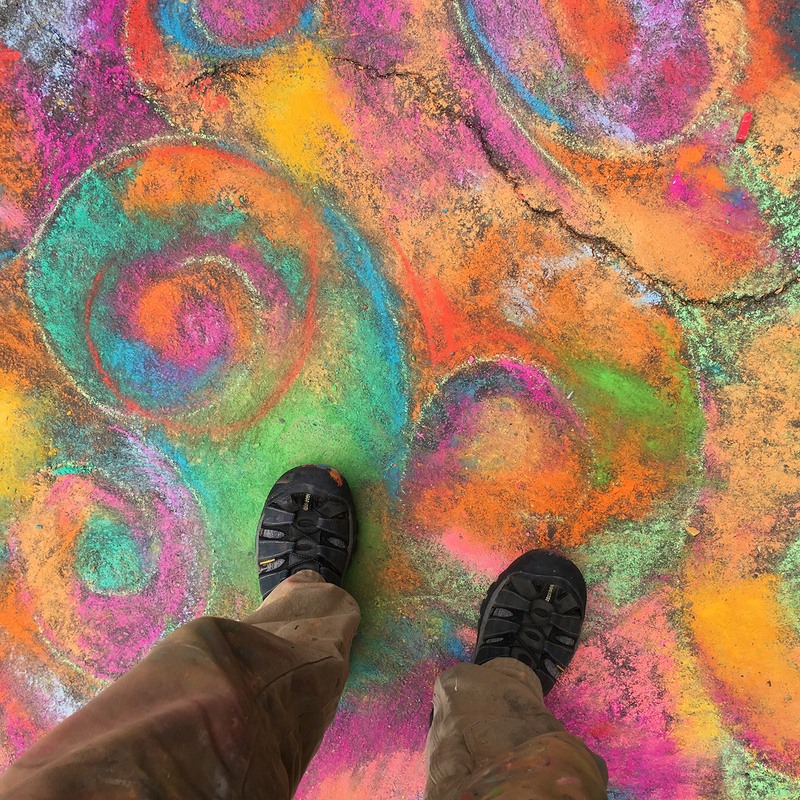 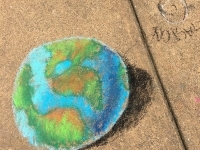 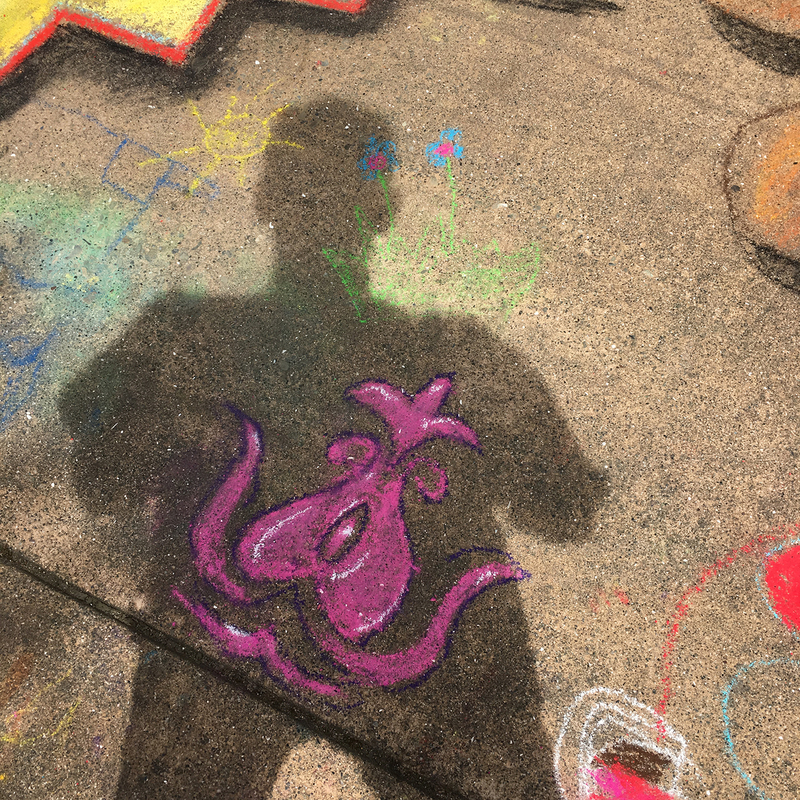 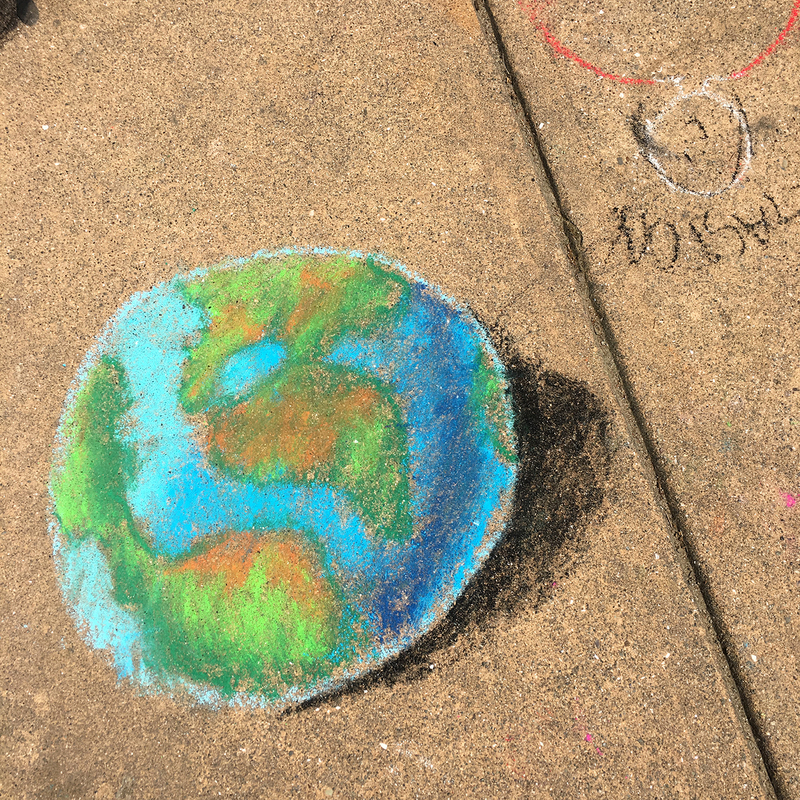 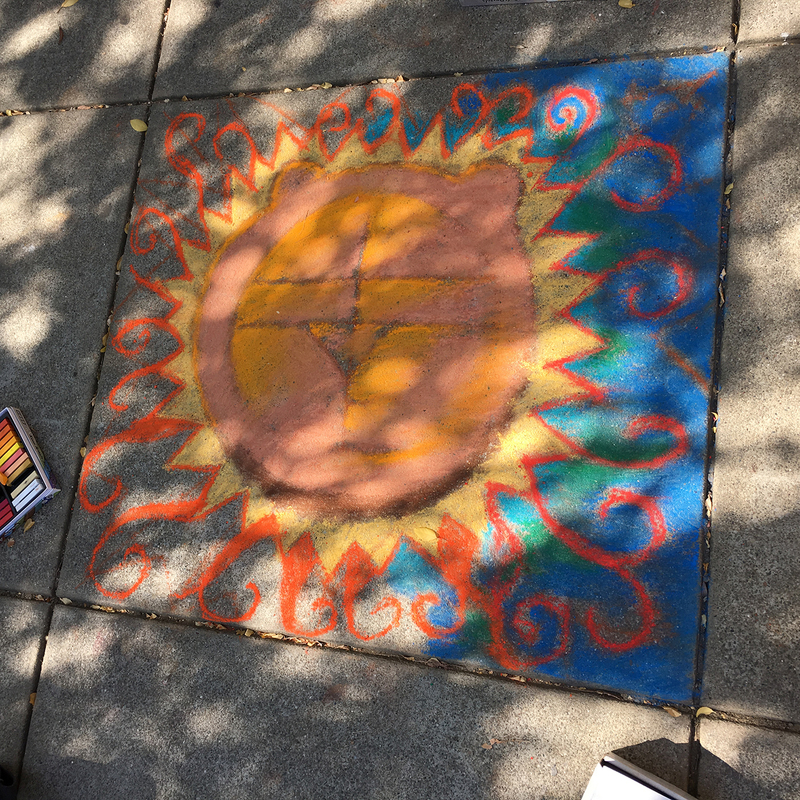 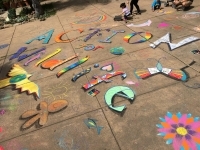 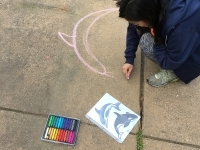 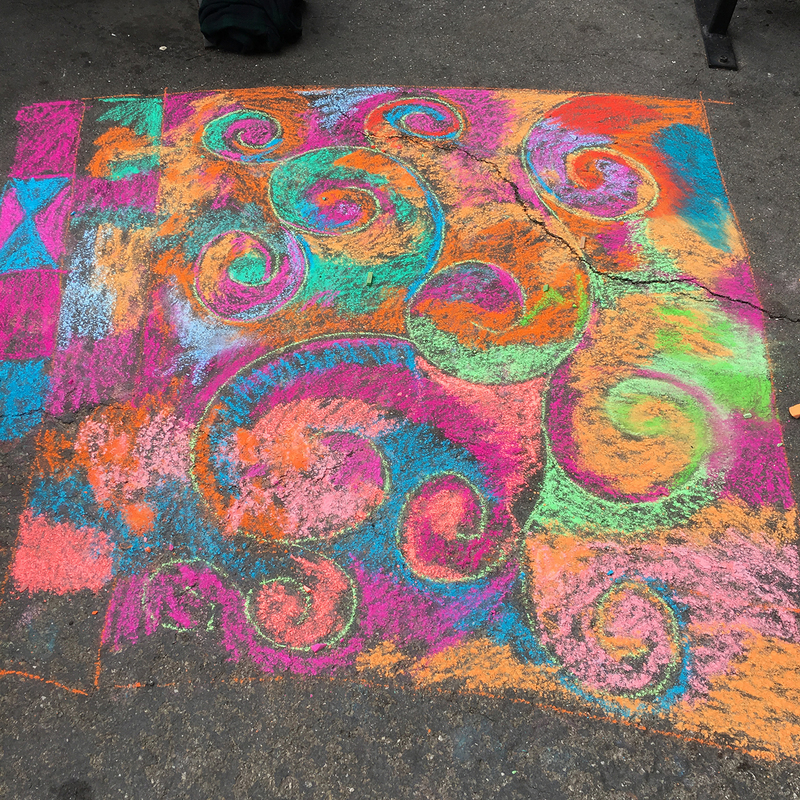 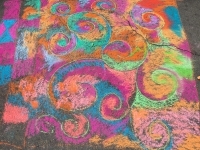 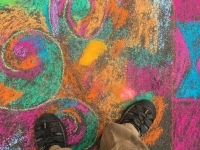 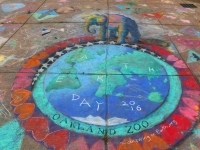 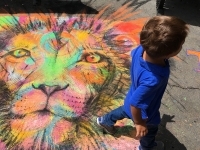 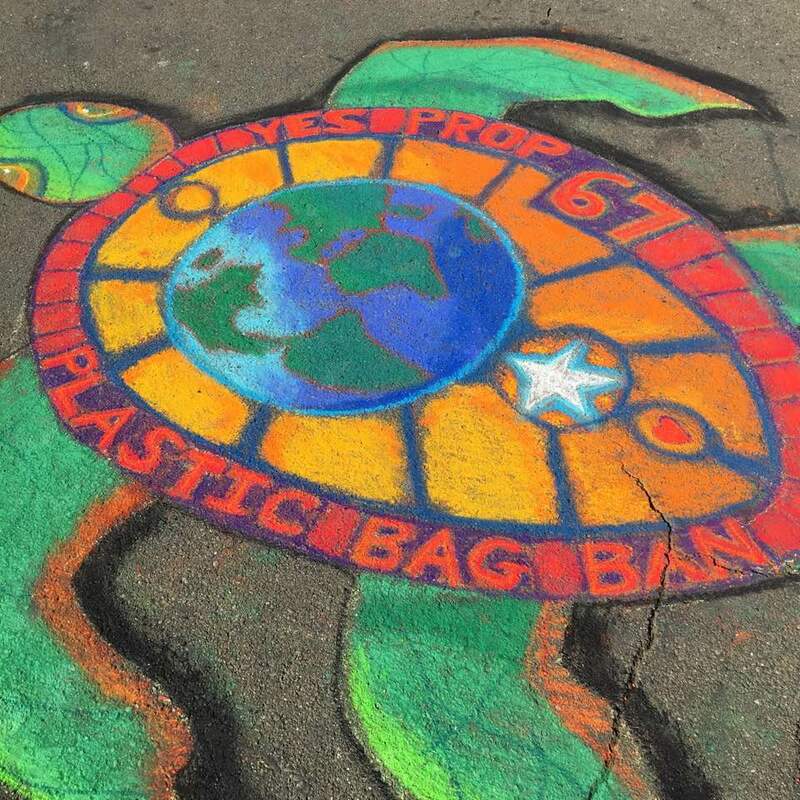 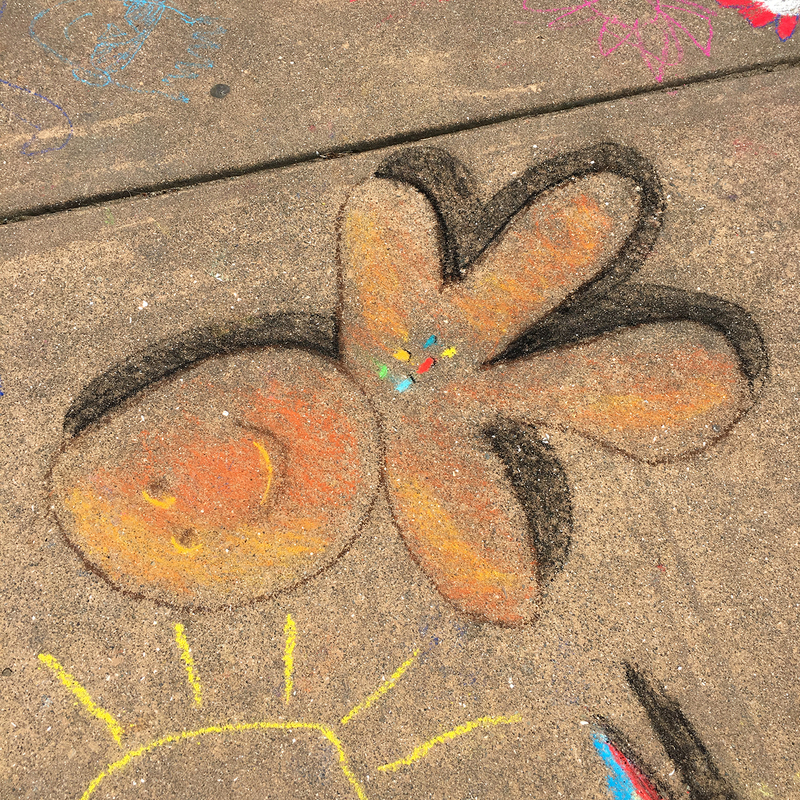 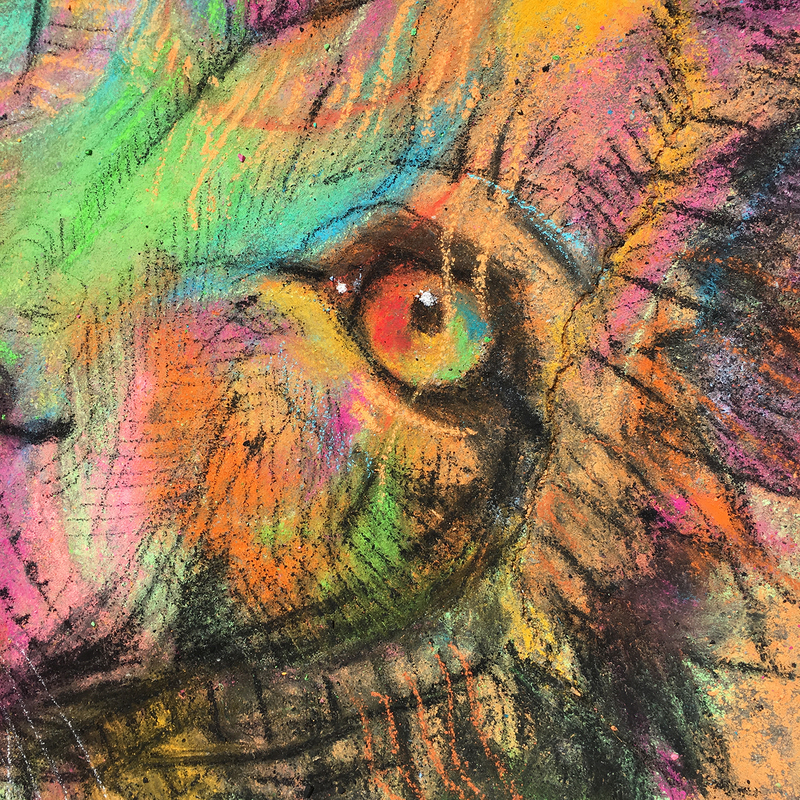 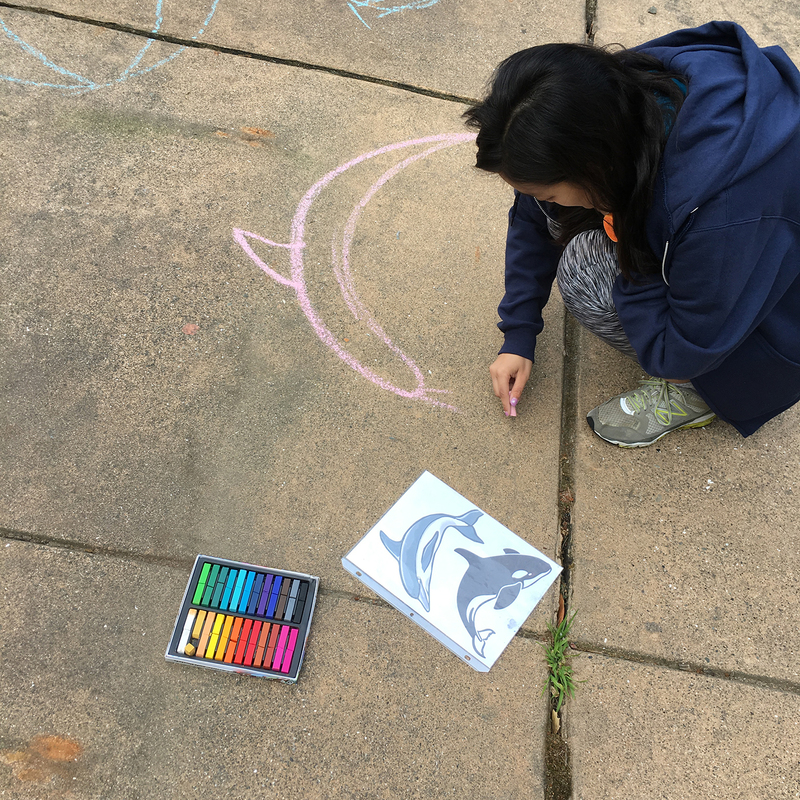 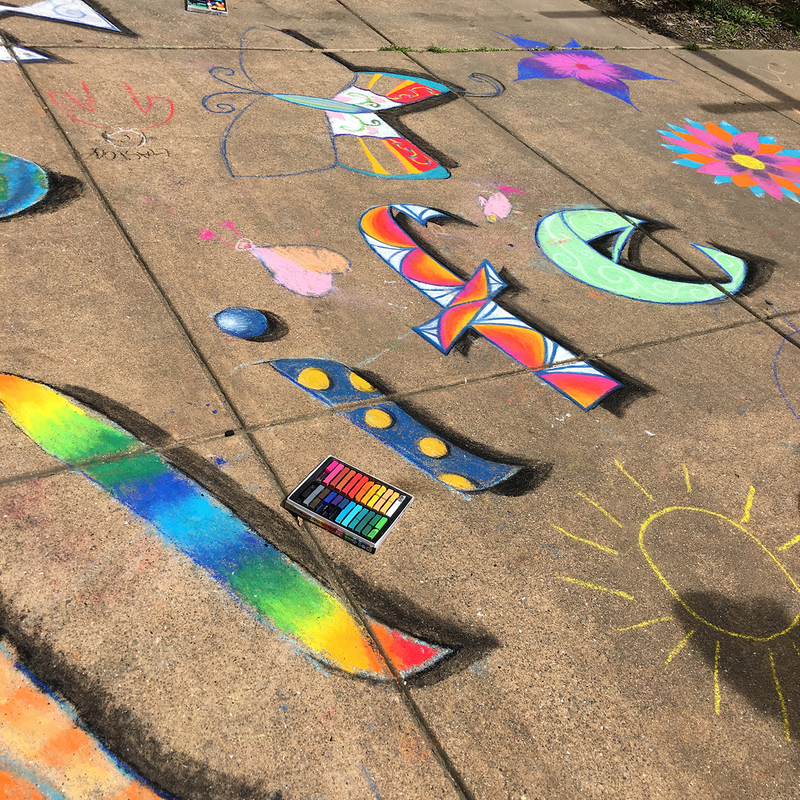 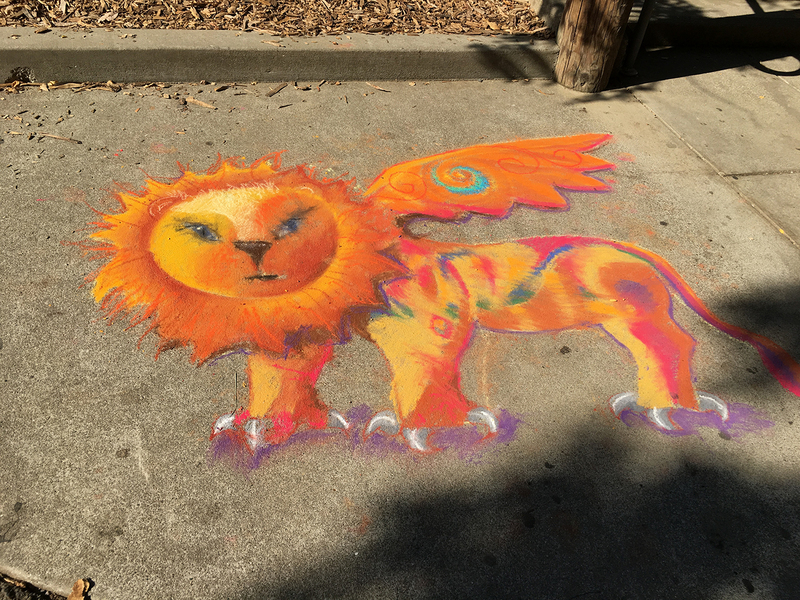 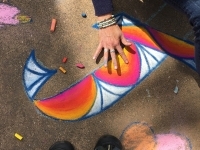 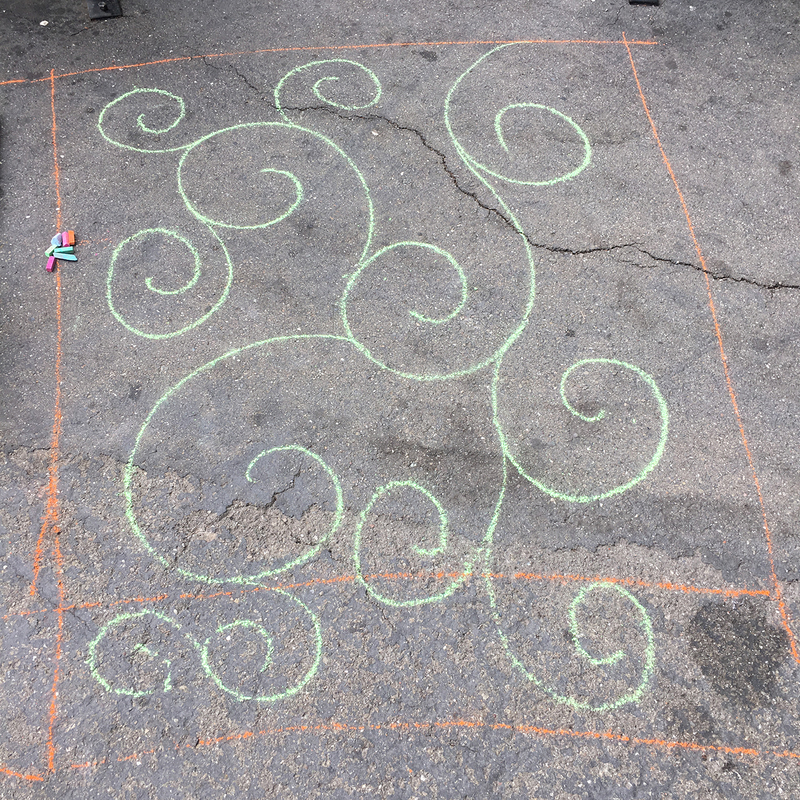 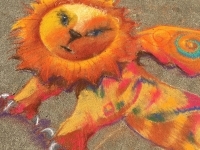 Chalk drawing and animals go together well, so does chalk drawing and Earth Day @ the California Oakland Zoo. 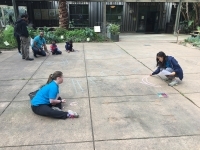 For the last 2 years we have had the wonderful opportunity to draw at the Zoo. 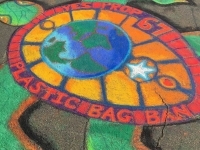 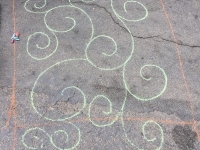 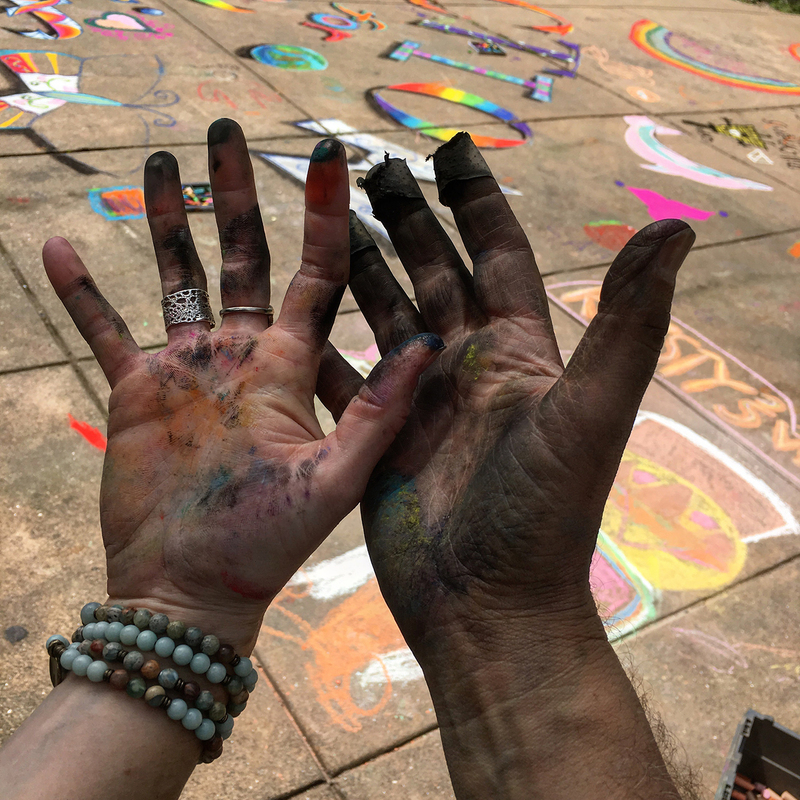 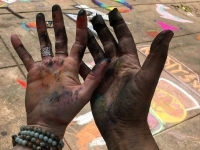 Two times for Earth Day where we created pieces that the community could collaborate with Drawing on Earth. Two times for Day of the Lions, and once to bring awareness to a vote on banning plastic bags, sponsored by the Monterey Bay Aquarium.